The police suspect that the fire started from an LPG cylinder and spread to the shanty. Two children died and two others of the same family sustained severe injuries after their shanty near central Delhi's Desh Bandhu Gupta Road caught fire while they were sleeping, the police said today. 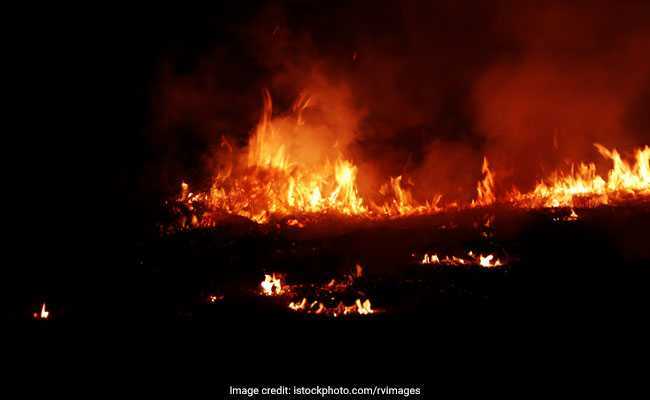 A call about the blaze was received at 2:18am today and two fire tenders were rushed to the spot, a Delhi Fire Service official said. The deceased were identified as Ganesh, 10, and Swati, 4, the official added. The injured, Suman, with 55 per cent burns, and five-year-old Munna, with 70 per cent burns, are undergoing treatment at the Ram Manohar Lohia hospital, he said.